Is Allulose Safe and Keto-Friendly? Ketogenic diets are low-carb and high-fat diets that work on strict guidelines. Every component in the diet is carefully selected for the success of the diet. A keto-friendly sweetener is no exception. Allulose is a new kid on the block of sweeteners and raises many questions in a keto community about its potential use. Allulose is a naturally occurring sweetener with a chemical structure like fructose but with a different physical arrangement. This makes it a monosaccharide sugar like fructose and lactose. Allulose is a “rare” sugar because it can be found only in minimal quantities in nature and requires fermentation to create it. Jackfruit, raisins, figs, wheat contain the sweetener in small amounts as well as maple syrup and brown sugar. Unlike stevia that leaves a bitter aftertaste in your mouth, Allulose tastes closer to table sugar. It is a suitable sweetener for keto diets and could serve as a good sugar replacement for many homes. There are no severe side effects when you use Allulose in small quantities. However, as with many sweeteners, excess consumption might result in bloating, diarrhea or gas. Every sweeter on the market usually has a GI after the name followed by a number. GI means Glycemic Index. This measures the degree by which your blood sugar is increased by a specific food product you eat. Glucose is the baseline and it measures 100. Allulose has GI of 0 (zero) because it can’t be metabolized by intestine and hence raise glucose blood level. For the baking purposes its crystalline nature has similar browning characteristics to table sugar and 70% of its sweetness. Addition of allulose lowers the freezing temperature of products. Allulose is highly soluble making it a great sweetener for making keto-friendly smoothies or beverages. The FDA recognizes Allulose (also referred to as D-psicose and psicose) as a safe ingredient and includes it in the GRAS (Generally Recognized as Safe). Though it is not allowed to be sold in Europe despite the submission for approval in April 2018. In a 90-day study Allulose showed no adverse effects on the rats in comparison with table sugar. In another log-term rat study lasting for 12-18 months, it showed no toxicity or any gross pathological findings. A 20-human study conducted for 12 continuous weeks revealed neither abnormal effects nor clinical problems caused by the continuous ingestion of Allulose. Quite a number of scientific studies on rats showed Allulose as an effective tool against type II diabetes. It does this by protecting the beta cells of the pancreas which is responsible for insulin production. It may help to increase insulin sensitivity and lower blood sugar. A research conducted some time earlier suggests there is a positive effect on blood sugar control in humans. A study comprising 20 healthy and young adults were administered with 5 to 7.5 grams of Allulose with 75 grams of maltodextrin. Another group of similar age was administered with just maltodextrin for the same period the experiment lasted. The concluding result showed that those that were administered with Allulose fared better with reduced insulin and blood sugar levels as against the other group that was only administered with maltodextrin. In yet another study comprising 26 healthy people but some with pre-diabetes, the participants either ate their meal with 5 grams of Allulose or without Allulose. Their blood sugar after the meal every half an hour for two hours was tested. The researchers discovered that the people who included Allulose in their meal had lower blood sugar levels compared to those who did not at 30 minutes and 60 minutes intervals. Studies on obese rats gave some likelihood of Allulose helping fat loss. The obese rats were given high-fat or normal diets that include allulose, erythritol or sucrose for eight weeks. Keep in mind that erythritol is much like allulose that is without calories and doesn’t increase insulin or blood sugar levels. However, allulose shows significantly better benefits than erythritol. The rats that consumed allulose didn’t gain belly fats like those given sucrose or erythritol. 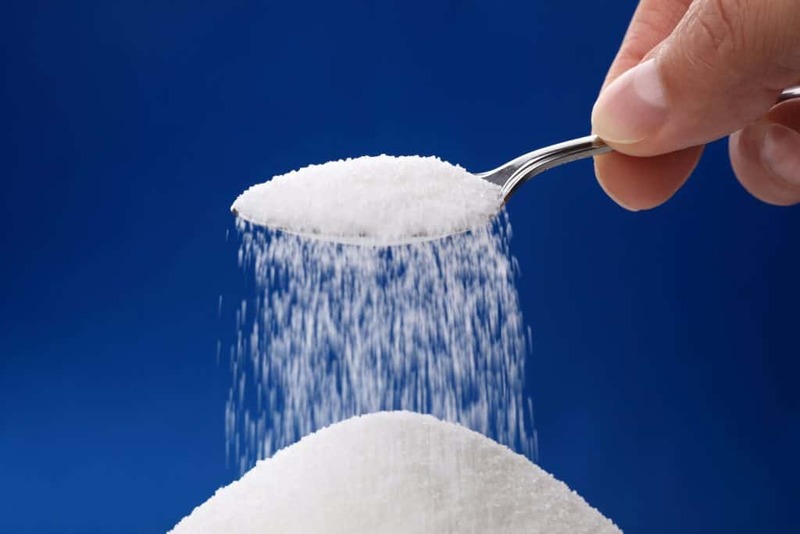 Allulose is still a new one in the sweetener’s market having been around for just about five years. Not much of its fat loss potential for humans is known with many studies yet to be concluded. Nonetheless, considering its positive effect on insulin and blood sugar levels, it could help weight loss.